Between the two contracts, CSG and Re, we have paid Capita £327 million. Let that sink in for a minute; £327 million to a private company from just one London Borough. Ever since the contract was proposed I have challenged how such a pervasive outsourcing programme can work in the best interests of Barnet residents. I have always made it clear that, ideologically, I have no problem with outsourcing so long as it is being done for the right reasons. Typically this is where it involves very specialist, non core activities where technical expertise may be difficult to secure and retain in house. In Barnet's case this outsourcing programme covered so many services which were core to the running of the council and which in 2010 were rated as 4 star (good). Barnet has been an experiment in mass outsourcing and almost five years in, it appears to be a failure. Last night's audit committee was a litany of service problems, system failures, lack of controls, under performance, a major fraud. Internal audit saying issues were a problem, Capita saying they weren't. Councillor Khatri, the now independent councillor for Mill Hill, deselected by the Conservative group, gave a quiet and persuasive evisceration of the Capita contract. He has long been a sceptic of the Capita contract believing that it does not offer value money for residents. Cllr Khatri is no fool, with an MSc and 34 years government experience in Export Credits Guarantee Department he is a shrewd and analytical person with great experience of business. Some people have said that this contract is too large to fail, too large to bring back in house, so we are stuck with it no matter how poorly it performs. Unsurprisingly, I have a different view. I believe that with a properly planned programme, the service can be brought back in house efficiently and cost effectively. We have an opportunity to redesign the council to ensure that departments deliver excellent service. This will allow a large number of senior commissioning posts to be removed saving millions. The first phase will require Finance, Pensions Administration, IT, HR and Procurement to be brought back in house. These are the key levers by which you can control the business. It provides you with the information you need to understand which parts of the business are performing well or badly. The next phase is to set up a call centre in Barnet to deal with customer enquiries and the revenue and benefits service. Staff 100 or 200 miles away working for a number of councils simply don't have the local knowledge required to quickly deal with problems. In terms of the Re contract that is a joint venture between Barnet and Capita. It just doesn't seem to work as was exemplified last night at the audit committee. The CEO of Barnet who is a board director of Re has failed to get Capita to agree to new KPI's to more effectively manage the Highways contract. This has been dragging on for a year and there is still no clear outcome. There is what I described as a contractual gordian knot with exceptionally complex contractual relationships between Barnet and the companies that actually deliver services. This means that contracts aren't being effectively monitored and managed. I have yet to see any real financial benefits of the Re relationship - they have failed to sell services to other councils. This is a contract that can be brought back in house very rapidly simply by dissolving the JV and transferring staff back into the council. It cuts out the middleman of Capita and the profit they extract from the arrangement. It can be done and it should be done. It is time to part company with Capita and take control of how Barnet operates. 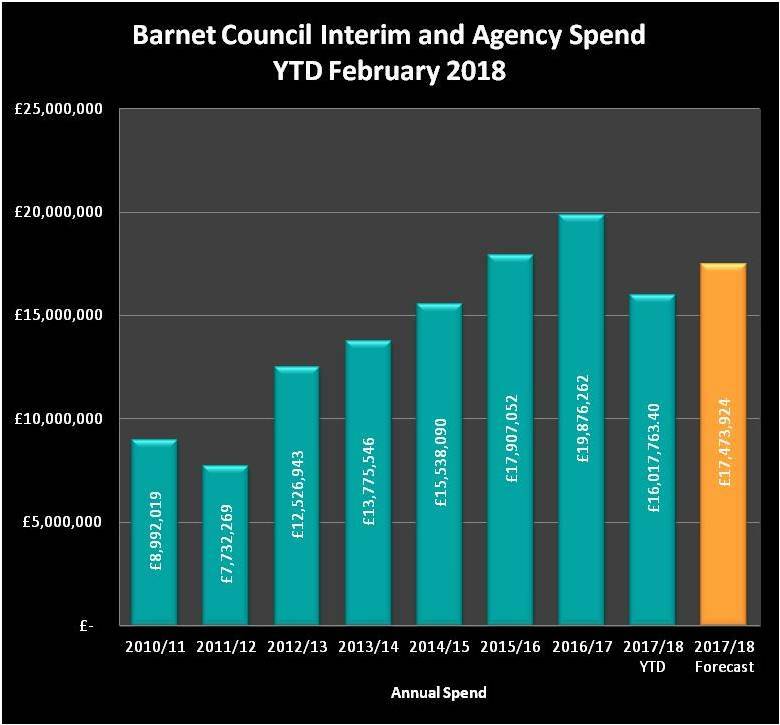 Back in January I wrote a series of blogs about the very serious concerns regarding the gainshare arrangements in Barnet. In particular, I wrote about an energy contract on which Capita had claimed a gainshare of £313,215 which appears to be entirely unjustified. You can read about it here but in simple terms we paid an energy supplier a premium to, in theory, save money on overcharges by having a fully managed service. As I understand the contract, we pay a premium of approximately 1.5% on our energy charges for this service. Now here is the rub. Capita say they helped to secure this contract - even though it seems to have come via the London Electricity Project, a London Councils' initiative. As a result they are claiming they made the savings on the potential overcharges and want a third of them over a three year period, all in a single upfront payment. To me and, I think, any rational human being this seems like a false claim. As a result I lodged an objection to the accounts on the basis that this money should not have been paid to Capita. That was on the 14 July 2017. Nine months later BDO, the external auditor, has still not resolved this matter. I get the impression that no one actually believes that Capita deserves this money but because the correct boxes have been ticked they have been paid. Frankly this disgusts me. Services are being cut, money is incredibly tight but because Barnet signed up to a contract which no councillors read in detail, we are being stuffed. This is nothing short of a scandal. 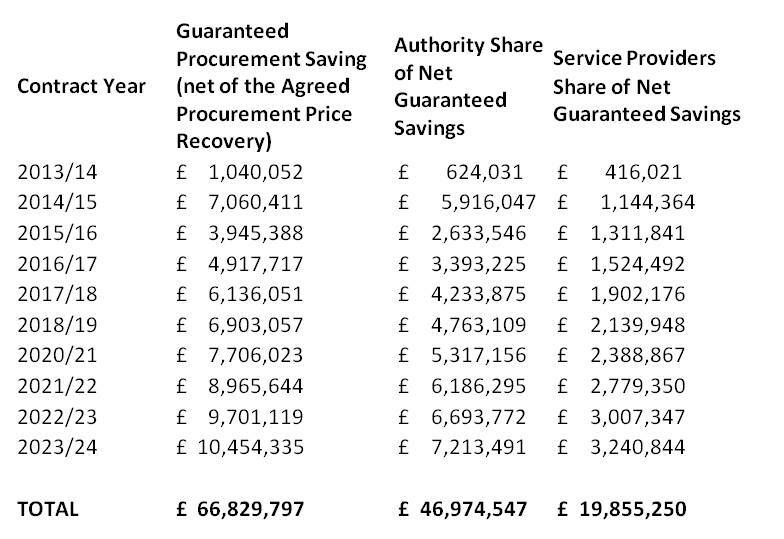 Last week I was at last given the details of the guaranteed procurement savings that Capita have to make for the rest of the contract. 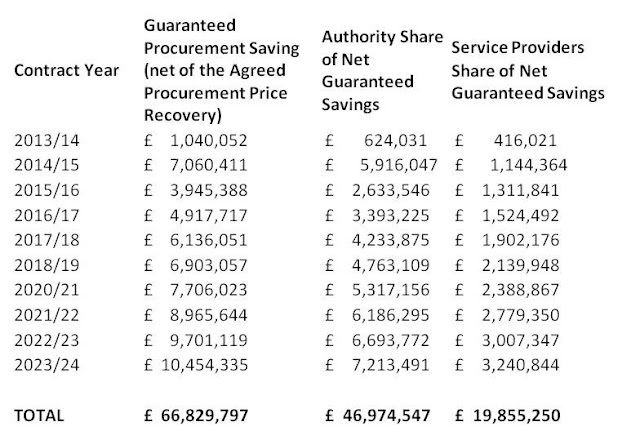 These savings are net of a further payment to Capita of something called the Agreed Procurement Price Recovery which is still redacted. Between now and the end of the contract they have to make over £43.7 million of procurement savings of which they keep around £13.5 million. The problem will be whether they can make real tangible savings or whether we will get further repeats of "contract savings" like this energy deal. I had prepared the supplier payments for April and passed them on to a fellow blogger but forgot to publish them here, so the full detail is set out below. I will update at the end of the month when we will have the final year end spend by supplier. I have submitted the following questions to the forthcoming audit committee this Thursday. I hold out little hope of getting appropriate answers. At 1.3.1 the numbers do not seem to add up. Should it read 49 high priority actions (not 45)? On accounts payable the report states that “Because these controls rely on data being entered correctly, they have historically not been very successful at automatically detecting duplicates”. Is the report implying that data is not being entered correctly? The reports states that “CAFT have found that the high number of false duplicates identified make it uneconomical to investigate these transactions”. When did CAFT first identify the high number of false duplicates, why has this not been raised with the audit committee before this meeting given the Integra system has been in place for 4½ years, and who made the judgement that it was “uneconomic to investigate the transactions”? Given that there are no detective controls, outside of the annual National Fraud Initiative (NFI) data matching exercise, to identify potential duplicate payments made and, more seriously, that the Accounts Payable team have not been able to perform their own review of data to identify duplicate invoices submitted for payment, what is the risk that over the last 4½ years duplicate payments have been made but not investigated. Why didn’t the Accounts Payable team disclose before this internal audit that they were unable to perform their own review of duplicate payments and why didn’t the Commissioning Group Finance identify this problem before now. Please can you clarify the issue relating to the BACS payment run – is it that confirmation was received for the total amount being paid but not individual payments, or that there was no audit trail to evidence the preparation of the BACS report i.e. were the BACS payments correct in the first place? Will ensuring all policies and procedures are uploaded to an appropriate shared drive so employees have remote access to all relevant documents ensure that staff in Sussex and Darlington actually read or familiarise themselves with the policies and procedures. What measure are in place to ensure this is more than just a box ticking exercise? In the separate 19 page Internal Audit Report it highlights a high risk problem with the Cashbook Team. The sample of 25 unallocated receipts amounted to £559,000. What is the current total of all unallocated receipts? Who is responsible for the Cashbook team, Capita or LBB. If 19 of the 25 unallocated receipts were not investigated at all and 6 of the 25 were partially investigated but not followed up or resolved how many residents has been hassled unnecessarily or worse, have had the matter referred to a debt collection agency when the debt had been paid? In the Outstanding actions section the highways actions have been deferred yet again. On point 1 why are Re taking so long to agree additional performance indicators proposed by the Council given that Re is supposed to be a JV between the Council and Capita? On point 2 if the KPIs in question will only include the elements that Re can influence yet Re are the council’s agent for monitoring the LoHAC contract with Conway, how can we have any confidence that the LoHAC work will be delivered satisfactorily and that there is a rigid monitoring system in place? 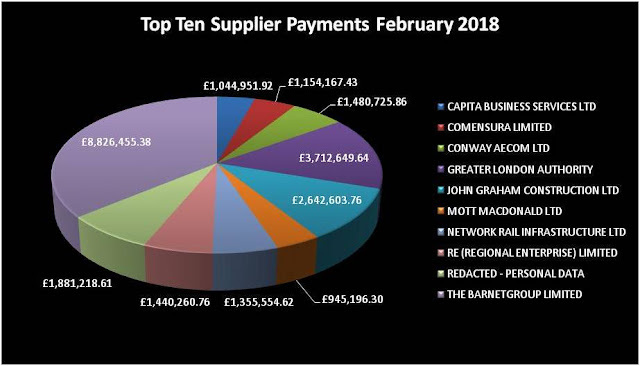 Given that Capita have claimed and received a large gainshare payment for the “savings” on the LoHAC contract and that Re received a large payment from Barnet for advice on the LoHAC contract, surely they should accept responsibility for the delivery of that contract and the consequent KPIs. On point 3, is requesting supporting information from the contractor the most appropriate way to validate performance if you already have concerns about the performance data provided by the contractor. Surely there should be a separate third party or Council validation process? At Point 21 of the completed actions I note that “arrangements to streamline and make capturing and collation of DBS data more efficient will be implemented”. However, in light of the revelations identified in the recent Private Eye article where a Capita Director allegedly stated that “in the vast majority of cases the level of check could not be evidenced and in many cases was not correct” and that such failures “will result in the DBS considering suspension or cancellation of our registration to use the DBS service”, please can you provide some reassurance that streamlining the capturing and collation of DBS data does not render the checks invalid? The CAFT report highlights an on-going financial fraud investigation case. While I understand that you do not wish to discuss the specifics of this case, I am sufficiently alarmed by shortcomings under agenda item 7 that I believe it is important that any investigation into how the system failures permitted this fraud to take place must be addressed immediately to ensure that no further fraud can take place. Please can you confirm that the systemic faults that allowed this fraud have been identified and addressed already, that you will investigate how the systemic failure were allowed to exist in the first place and why Capita, the Commissioning Finance Team or internal audit did not identify the systemic risk sooner? In light of the financial fraud investigation, do you think the additional allocation of 455 days for blue badge investigations is appropriate and that instead the additional time should be allocated to identifying and stopping staff and financial fraud? I note the audit plan recognises the additional powers and duties of the external auditor and, in particular, the point that these powers allow electors to raise questions about the accounts and consider objections. What it fails to address is the time taken to address these questions and objections. As such do you think it is acceptable that it has taken the Council 9 months to provide information to the external auditor in relation to an objection to the accounts and that the objection has still not been resolved. I note that the external audit will bring in specialist support to review Use of Resources. Can you provide details of the particular areas they will be examining?